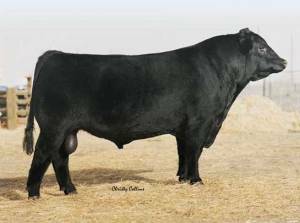 Famous has been a heavily used, highly functional bull for several years. His calves possess extra muscle and depth with tremendous structural soundness. In the show ring, Famous has sired numerous winners. His bull calves own added scrotal size in combination with a wide hip and thick quarter. Famous is one of the better retail product bulls you will find.